2018 Gilbert, Mudgee and Orange (A$24) Sangiovese (95%), with tiny portions of zinfandel (3%), shiraz (1.7%) and barbera (0.3%). Beautiful salmon colour. The nose has alluring aromas of honey on fresh toast and pink peppercorns, which continue onto the palate alongside a nervy acidity. Delicious stuff. 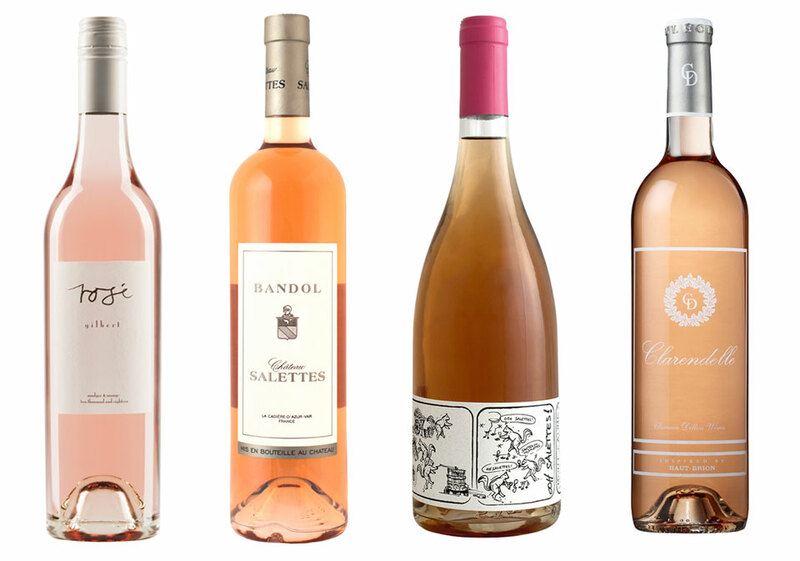 2015 Ooh Salettes!, Mont Caume IGP, France (A$39) This 100% mourvèdre rosé saw only a short maceration on its skins, with no filtration or fining and came out the other side medium copper in colour. Lots of spiced red fruits on the nose. A hit of sour red cherry melds well with a touch of sweetness. 2016 Château Salettes Bandol, France (A$49) A blend of mourvèdre (40%), cinsault (30%) and grenache (25%) with a little bit of syrah (5%). Medium onion skin colour. Notes of spiced red berries, including strawberry, raspberry and cherry. A little bit sweet and fruity, but not to the point of cloying. 2016 Clarence Dillon Wines Clarendelle, Bordeaux, France (A$27) From famed First Growth Château Haut-Brion, this is 67% merlot with the balance cab franc. Pale copper in colour, the nose has lifted aromas reminiscent of a classic Australian fruit flan. The palate is beautifully balanced showing spiced red fruits with some grapey-ness. Smooth and rich and moreish. Drink with food. 2017 San Marzano Tramari Rosé di Primitivo Salento I.G.P., Puglia, Italy (A$27) As the name suggests, made from primitivo (zinfandel) grapes. It’s got a smoky minerality on the nose with a touch of toast. The palate has a silken texture that delivers charming flavours of raspberry and strawberry. This is begging to be drunk with a hard Italian cheese. 2017 Domaine Paul Jaboulet Aîné Parallèle 45 Rosé, Rhône Valley (A$26) Crisp red berry and sour cherry aromas lead to a crunchy, refreshing palate bursting with savoury grilled meat characters and herbal notes of fennel and aniseed, rounded off by tart, cherry acidity. 2018 Waiana Estate Indian Summer Rosé, Hawke's Bay (A$25/NZ$20) The classic Hawke's Bay aroma of white pepper immediately suggests syrah but believe it or not, this pale, dry rosé is produced from merlot and pinot gris. Refreshing and textural, it’s an ideal match with anything barbecued. 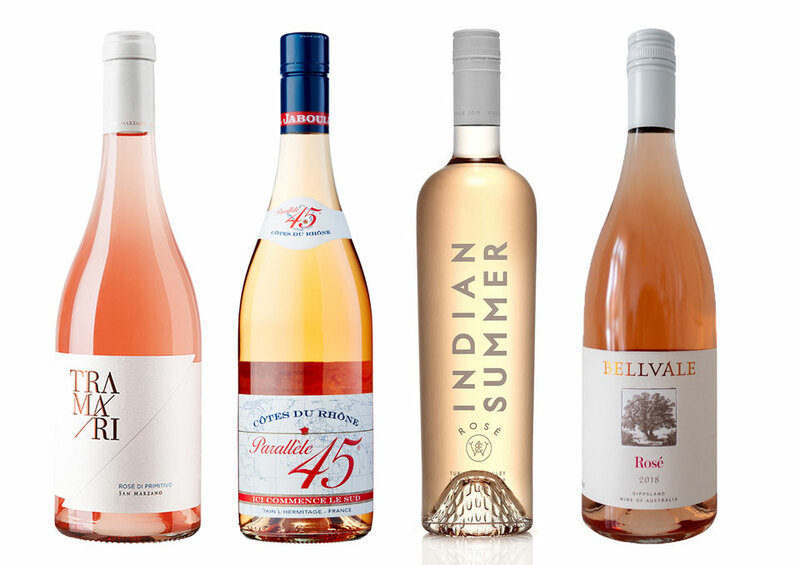 2018 Bellvale Pinot Noir Rosé, Gippsland (A$25) It’s hard to go wrong with Gippsland pinot and Bellvale's John Ellis is onto a winner here. This rosé is upfront with its Italianate orange peel aromas and flavours, but a small, attractive amount of residual sugar makes for an incredibly moreish wine. 2018 Bondar Grenache Rosé, McLaren Vale (A$25) Grenache from McLaren Vale is always a sure thing; this vibrant, luscious rosé is no exception. It’s delicate and fragrant with serious structure – a great option for both a romantic al fresco dinner or a beach picnic, straight from the esky. 2017 Te Kairanga Estate Rosé, Martinborough (A$28/NZ$25) Crafted from several of Te Kairanga’s prized vineyards, this is undeniably Martinborough pinot: structured cherry, rose petal and strawberry flavours with a savoury edge and fresh acidity. 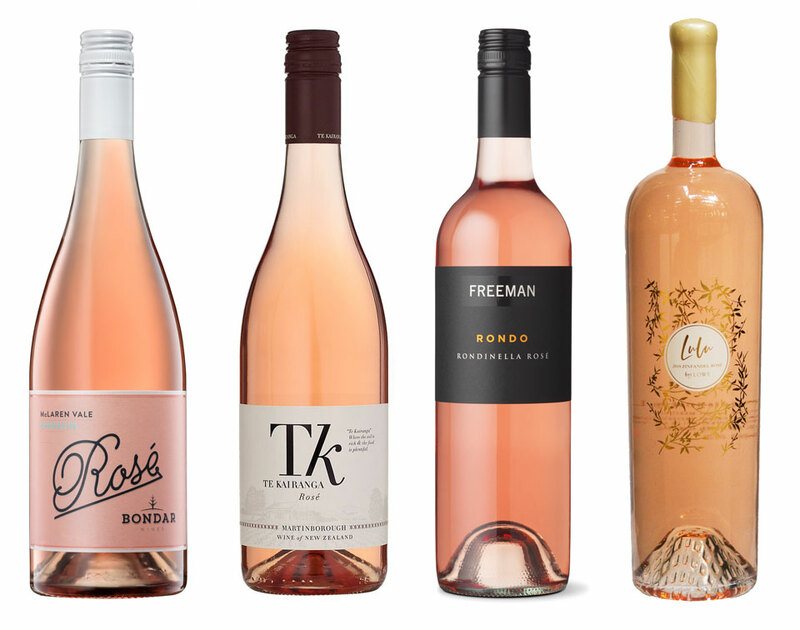 2018 Freeman Rondo Rosé, Hilltops (A$20) Brian Freeman is Australia’s original cultivator of the northern Italian rondinella grape, from which this wine is made. It’s a safe bet each year but the dry and spicy 2018 offers loads of refreshment – perfect for poolside sipping. 2018 Lowe Lulu Zinfandel Rosé, Mudgee (A$95/1.5L) From the deft hand of David Lowe, comes this magnum-size only, organic and biodynamic 100% zinfandel. It's cool and restrained, with delicate aromas of herbs, red fruits and capsicum continuing on to a savoury and refreshing palate. Gorgeous.